Everyone Needs a Hand Up, Some Need it Now! The Hand Up Network has been launched to bring more attention and focus to the people in your community. 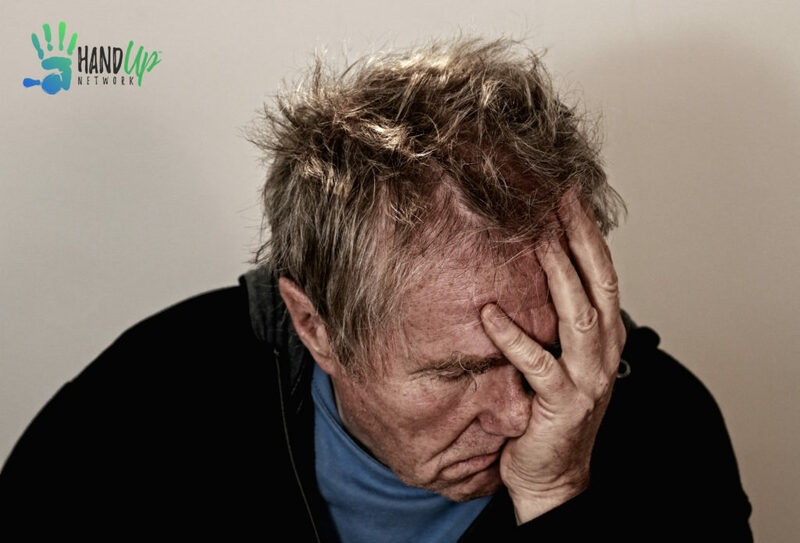 There is a tendency for people to get caught up in their daily lives and not even notice that there are people among them that are struggling to survive. If their issues don’t affect your world, its easy to see why you might drive right past and never even know that there is someone’s child, brother, parent, etc. that is seeking hope. No one likes to talk about tough subjects, but people in need can change their circumstance and have a positive impact on their community. The struggle for most is to know how to get out and who can provide the support necessary to get there. It’s not a quick fix and certainly just giving short term help is just a bandage on a much larger wound. 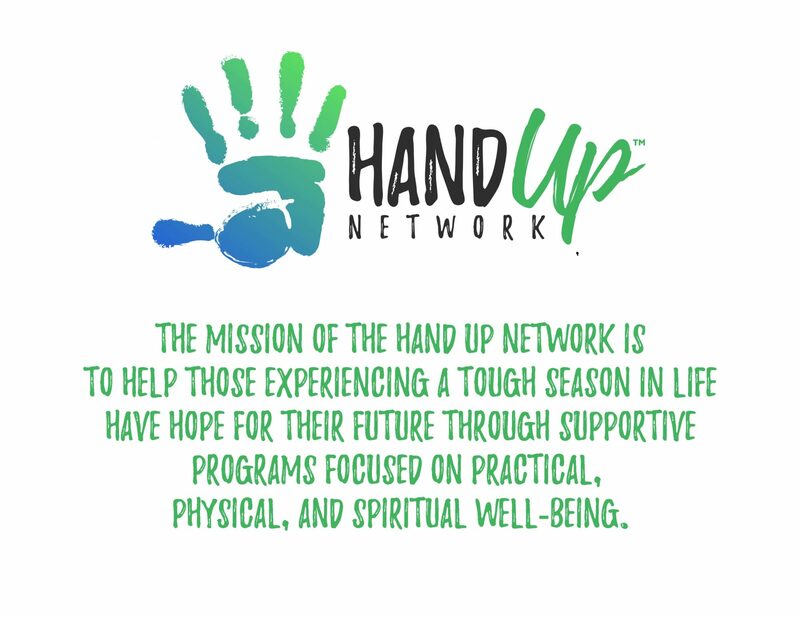 The Hand Up Network is about addressing the wound and seeking to eliminate what is keeping that person from getting back on their feet. Many of the stories are difficult to hear, but one thing is certain, they did not want to be where they are today! I had a great discussion this past weekend with a Hand Up Volunteer. His question was about the impression that most of the issues of those we are trying to help started due to substance abuse. My answer surprised him. I said I thought the number would be around “20%”. Now there are a lot more people that are now dealing with substance abuse, but the question was how did their current situation start. Most were led to substance abuse due to something else that happened in their lives. When difficult times start to happen, people lose hope. If they don’t have someone to lean on during times of stress, etc. they view various substances as a way to numb the hurt. Let that sink in, and you will begin to understand the journey that many must take to get back on their feet. The Hand Up Network is intentional on our efforts to provide a path for those that want to make a change in the course of their lives. Success does not happen unless they are serious and make a personal commitment to want to get out. That commitment is not just a statement, but a lifestyle change. We are not here to provide a “Hand Out” and if that is the course they choose, they will find a short presence in our programs. Welfare programs have their place, but for the most part they are just a bandage on the wound. The wound is our focus, the journey is a marathon, and if you are willing to make a serious commitment to get out, we are here. We need Resources and Volunteers to make all of this happen. Please take a moment to go fill out our Volunteer Application. That gets the process started. We will work with you to optimize your gifts in the service for others. We are intentional to make sure that every single Volunteer is optimized. You will not just show up and stand around while we find something for you to do. You are a vital part of the process and will be inserted as such. Click here to Donate or Fill out the Volunteer Application.